You can make the chunky knit blanket above with the kit from Colorways Gallery here (available in more colors here) or buy it already made here. You can find instructions and a video for how to make this arm-knit chunky blanket from Fiber & Field here. 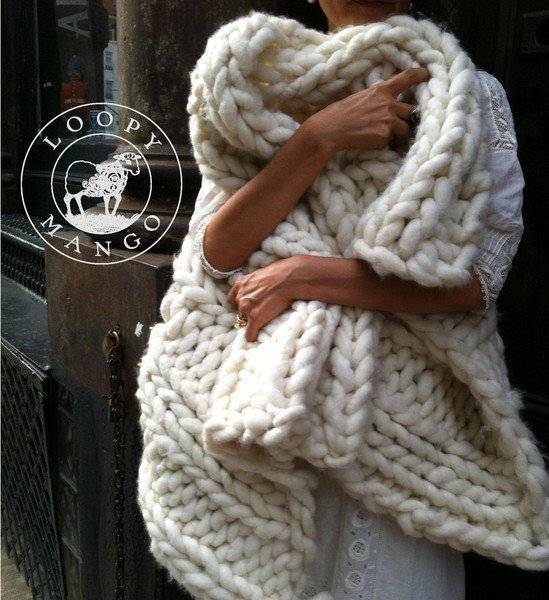 Shop Loopy Mango will sell you a pre-made chunky knit throw here, or you can buy a much more affordable DIY kit here. 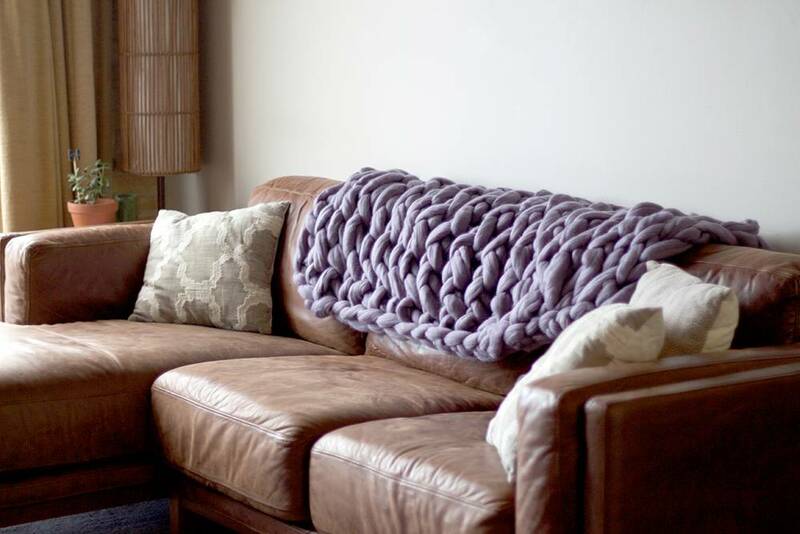 For a wool-free version, Lily & Peabody makes chunky knit throws out of cotton tubing that are available here, or acrylic fiber versions you can find here. Australian shoppers can find pre-knit blankets, or materials to make their own "extreme throw," at shop Little Dandelion. Here is another tutorial and pattern for knitting your own super chunky throw. This one gives some cheaper (acrylic) options for yarn, and uses flagpoles as knitting needles! 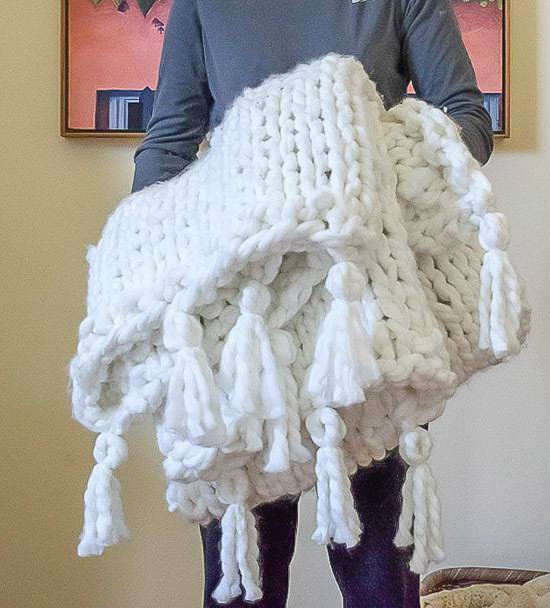 There are a variety of kits available on Amazon for knitting your own giant chunky throw, but this one has great reviews, and is relatively inexpensive. No knitting needles are required for this chunky arm-knit throw from Flax & Twine. The free pattern is available here. 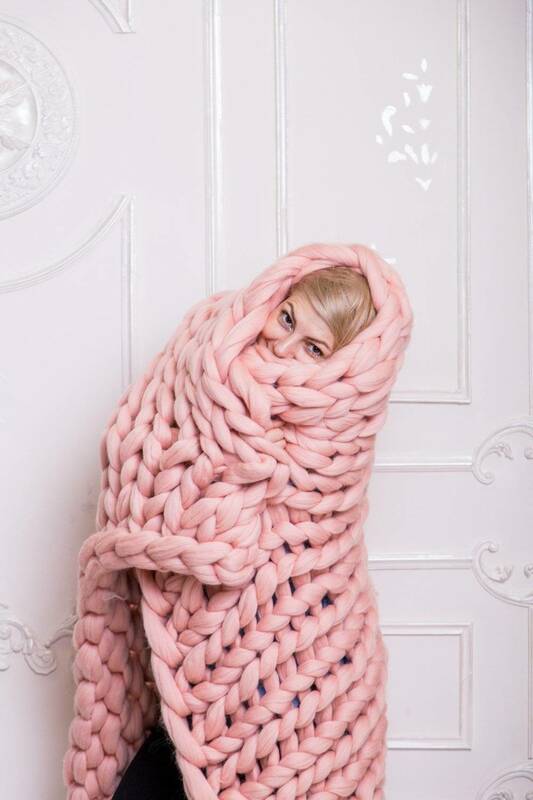 Ready to cuddle up for your own giant knit blanket, but prefer to let someone else do the knitting? Shop EVOKnit on Etsy has you covered with this blanket you can purchase here. UK knitters can buy their own chunky knit blanket kit from shop LaurenAstonDesigns here, or have one custom-knit here. Don't forget to share the cozy vibes on Pinterest! 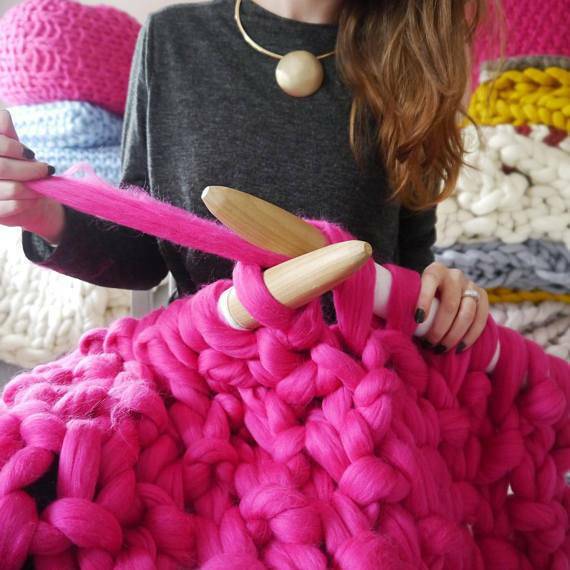 Want to make your own knit blanket without knitting needles? Here's Curbly's own version of an arm-knit chunky throw.